Here is the domestic trailer for Gus Van Sant’s Promised Land. 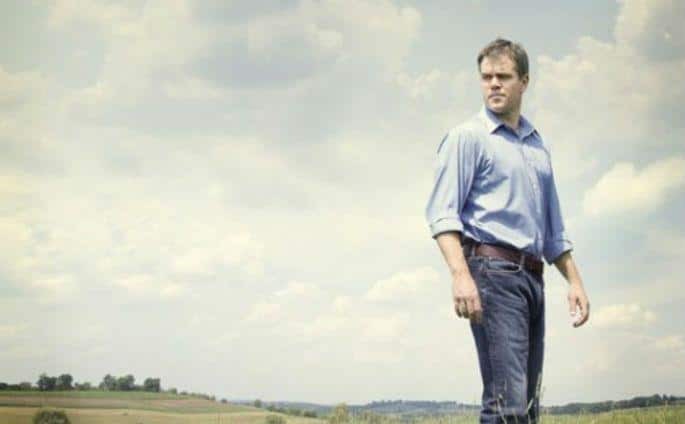 The Office’s John Krasinski and Matt Damon not only penned the screenplay, but star in the drama. The cast also includes Frances McDormand, Rosemarie DeWitt, Scoot McNairy, Titus Welliver, and Hal Holbrook. Damon was originally set to direct, but Van Sant stepped in to take over. I know it is early, but this looks like it could have some Oscar potential. Watch the trailer below and let us know what you think!